Do you find it embarrassing to wear short dresses, shorts, or anything that shows off your knees? Does having dark knee caps and elbows make you conscious and leave you feeling uncertain about your appearance? You miss wearing your favorite clothes, don’t you? Don’t worry, you have come to the right place looking for a solution. We have thoroughly researched and found the best possible ways to remove darkness from knees and elbows. Keep reading if you want to wear those shorts you bought, but haven’t worn yet, soon. Mix the milk and the baking soda. Apply this mixture on the knees and elbows and gently scrub in circular motions for two to three minutes. Repeat this every alternate day until the pigmentation fades. 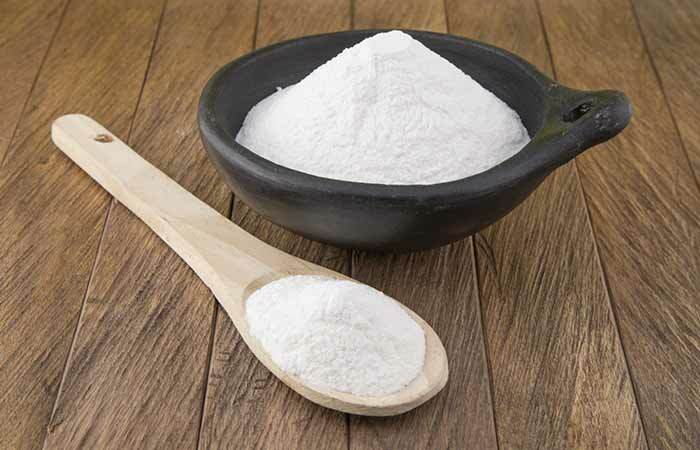 Baking soda is a great exfoliant and will not only cleanse the skin but also remove dead cells (1). The lactic acid and amino acids present in milk smoothen the skin and moisturize it. The antioxidants found in milk will ensure that the skin remains healthy for a long period (2). Mix the ingredients to make a thick paste. Use this as a scrub on dark elbows and knees for two to three minutes. Also, after taking a shower, apply coconut oil on your knees and elbows daily. Reapply before going to bed. Use the coconut oil scrub two to three times in a week. 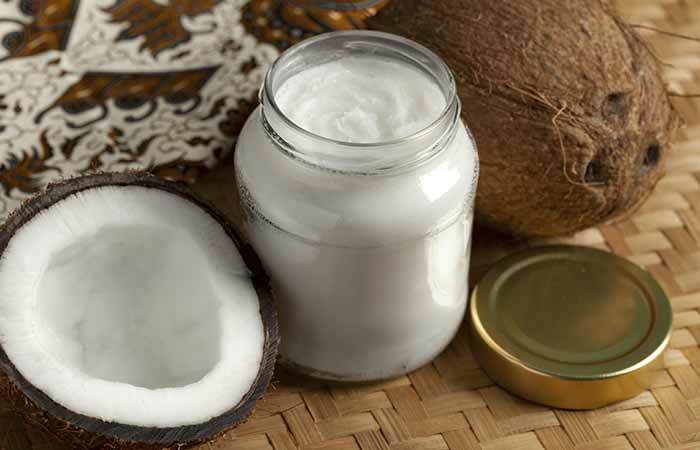 Coconut oil is one of the best hydrating and moisturizing oils for the skin. It prevents dryness and the vitamin E found in it repairs the skin and lightens it in the process (3, 4). Dip the cotton in the hydrogen peroxide solution and apply it generously on the knees and elbows. Leave it on for 15 minutes and then rinse the area with lukewarm water. Do this every alternate day. 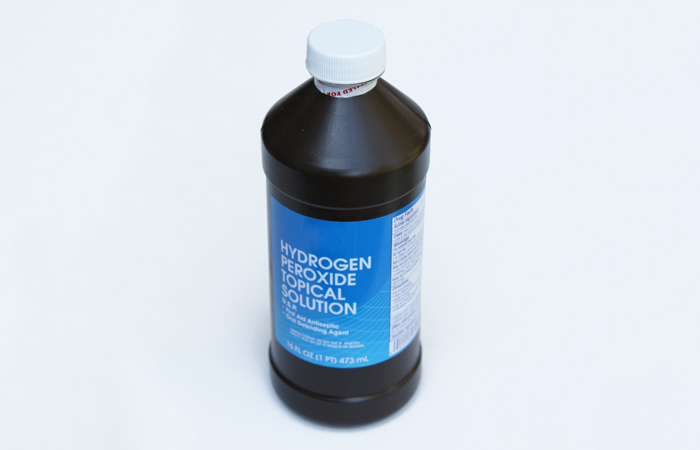 Hydrogen peroxide helps in removing dark, dead skin cells. 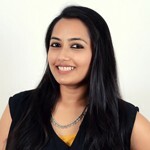 It is a commonly found skin-lightening agent in creams and lotions. With regular usage, its mild bleaching quality will lighten the dark knees and elbows (5). Dilute the hydrogen peroxide in equal parts of water in case you have sensitive skin. 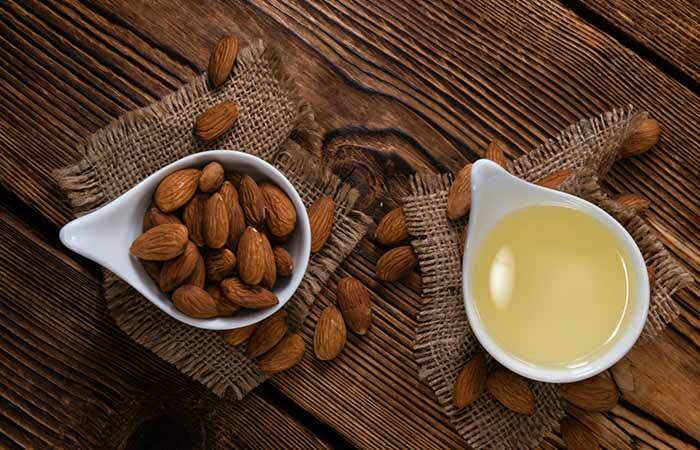 Take a few drops of almond oil on your fingers and apply it to the knees and elbows. Massage for a few minutes so that the oil absorbed into the skin. Apply almond oil every day, once in the morning and once at night. Almond oil is rich in vitamin E. It will help in repairing the skin around your knee area and get rid of the darkness (6). 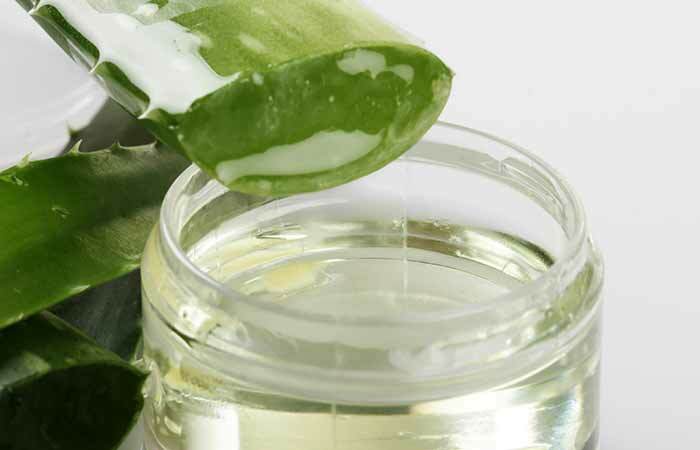 Cut the aloe leaf and extract the gel present inside. Apply this gel on the knees and elbows, and leave it on for 15 to 20 minutes. Apply aloe gel twice a day. Apply aloe vera gel to your knees daily and notice the difference. Aloe vera is a wonder plant that helps in healing dry knees, making them softer and brighter. It improves the skin tone and also gives protection from UV rays (7). Dilute the ACV in the water. Soak the cotton ball in it and apply this on the knees and elbows. Leave it on for 15 minutes before rinsing it off. Apply apple cider vinegar three to four times in a week. 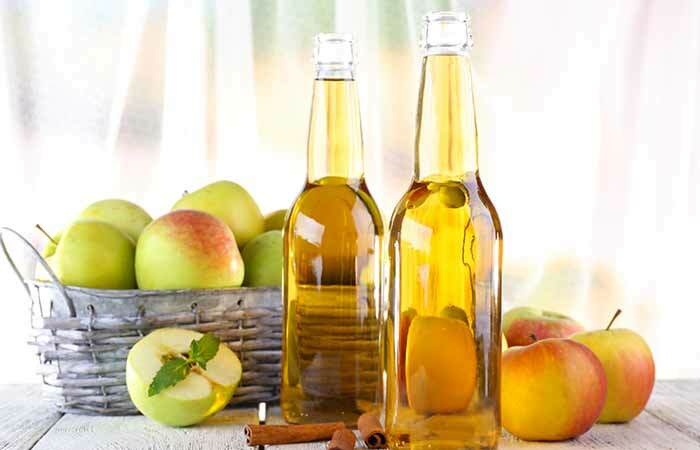 The acidic component of apple cider vinegar, mainly acetic acid, works a natural bleaching agent. It exfoliates the skin and lightens it (8). Take a shower with warm water. Gently scrub the knees and elbows using a pumice stone. Use circular motions. Scrub your knees and elbows two to three times in a week. 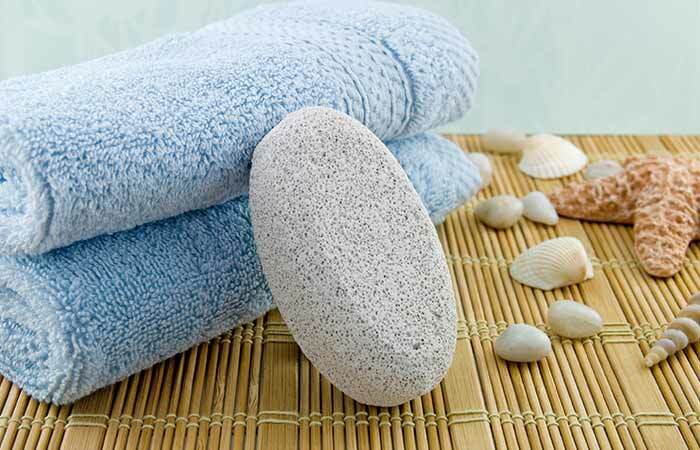 Exfoliating your knees and elbows using a pumice stone helps in removing the dark, dead skin cells. Add the sugar to the oil and give it a stir. Apply this mixture on the black knees and elbows. Rub in circular motions for about five minutes. Use this scrub every alternate day. Sugar is an excellent exfoliant. It removes the dead and dark skin cells easily and quickly (9). 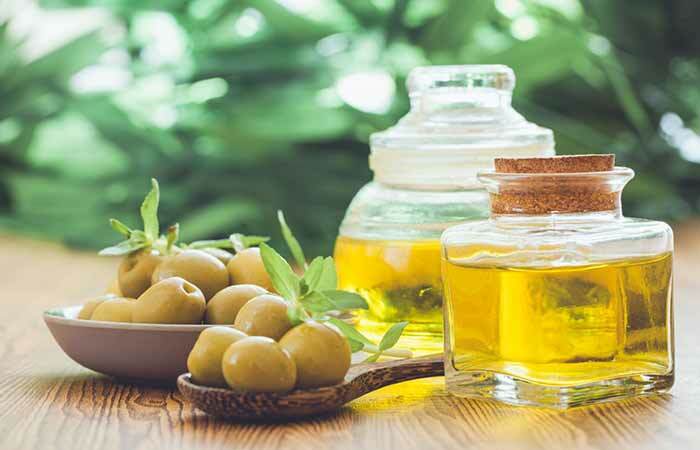 In combination with the olive oil, the scrub will also hydrate and nourish the skin while it is being exfoliated (10). Squeeze out the juice from a lemon and apply this on the knees and elbows. Keep it on for an hour or until it completely dries. Do this every day to get rid of your dark knee caps. 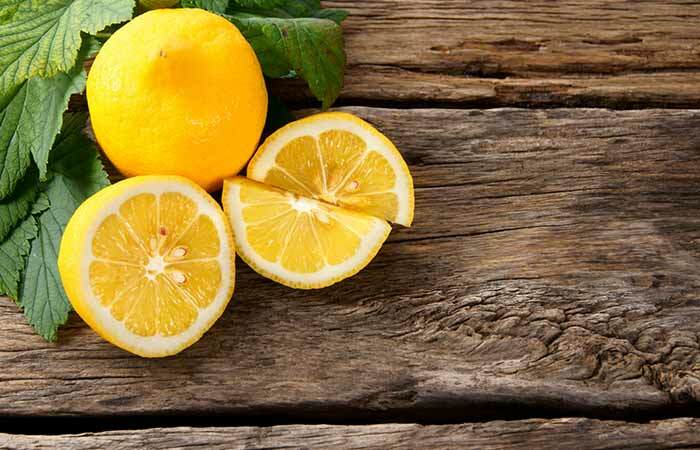 Lemon juice acts as a bleaching agent that can make your knees and elbows brighter (11). 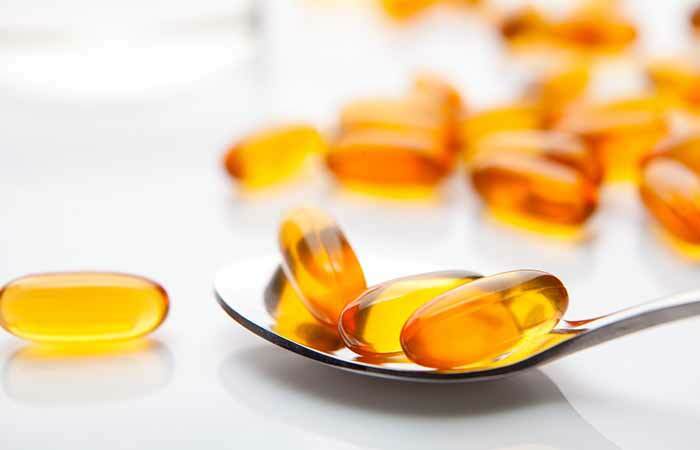 Open a few vitamin E capsules and pour out the oil present inside. You should have about one and a half to two tablespoons of oil. To this, add the sugar and mix it in. Use this as a scrub to exfoliate dark knees and elbows. Scrub for a few minutes before rinsing it off. The sugar removes the dead cells, and vitamin E does wonders in repairing and hydrating the skin (12). It also helps in depigmentation, thus giving you lighter and healthier skin on the knees and elbows (13). Mix the yogurt and vinegar, and apply this as a paste on the knees and elbows. Use this daily for lighter knees and elbows. Yogurt is full of nutrients that not only nourish the skin but also cleanse it. It removes dead cells and dirt from the pores (14). Vinegar enhances the effects of the yogurt by further helping in the depigmentation of the dark knees and elbows (15). Mix the honey, turmeric powder, and milk to make a paste. Apply this on the elbows and knees. Massage in circular motion for two minutes and leave it on for about 20 minutes. Repeat this two to three times in a week. 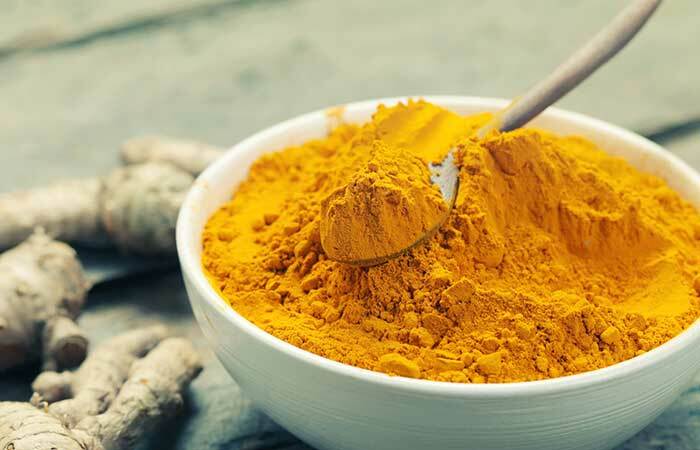 Turmeric cleanses the skin’s impurities and evens out the skin tone. It also renders a natural glow to the skin (16). Milk in this paste will also help in lightening the dark skin and honey will keep it hydrated and nourished (17, 18). Cut slightly thick slices of the potato and rub them on the knees and elbows for a few minutes. Leave the potato juice on for about 15 minutes and then rinse it off. 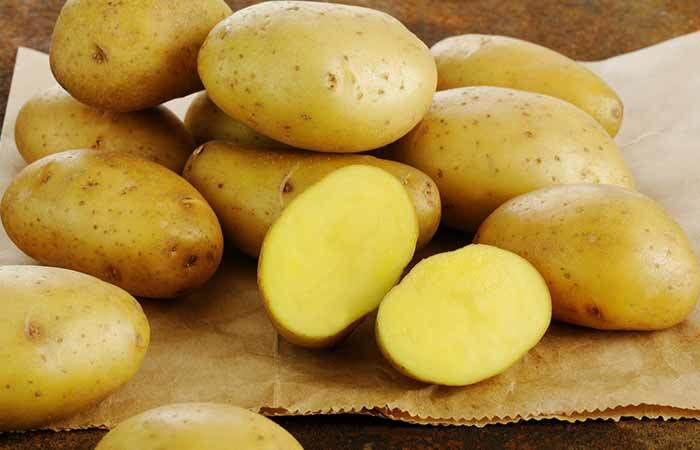 Potatoes possess mild bleaching properties that lighten dark spots and dark skin. They also nourish and brighten dry and dull skin (19). Add enough yogurt to the gram flour to make a thick paste. Apply this paste on the elbows and knees and let it dry. Remove this with water using circular motions to scrub the mixture off your knees and elbow. Apply this pack every alternate day. 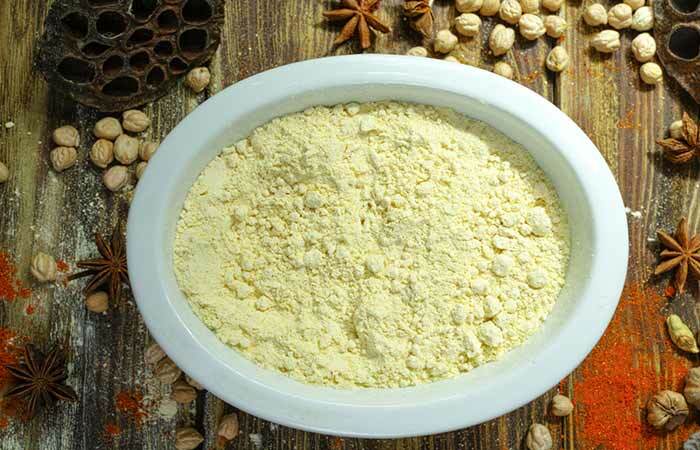 Gram flour exfoliates and removes the dead skin cells on your knees and elbows (20). 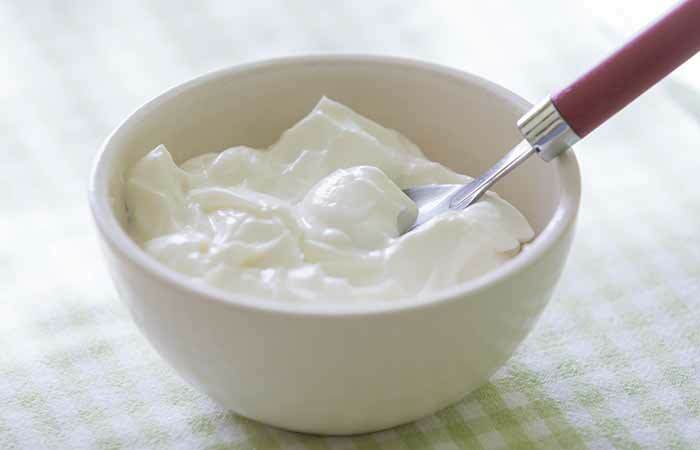 Yogurt lightens the skin tone and also nourishes it (14). Use these remedies and you no longer have to be embarrassed by your dark knees and dark elbows. Let’s now take a look at what causes dark knees and elbows. Always apply sunscreen on your knees when you go out. The harsh UV rays of the sun make your knees darker. Thus, protecting your knees from the sun is very important. Dark knees may also be caused due to improper hydration. So, never miss out on moisturizing your knees. Diet also plays an important role in maintaining healthy skin. Have a diet rich in vitamins A and E. Vitamin A-rich foods include sweet potatoes, carrots, lettuce, dried apricots, etc. Vitamin E-rich foods include almonds, cooked spinach, etc. Do NOT lean on your knees often. This creates friction, and the result is dark knees. Now that you know how to get rid of dark knees and dark elbows, what are you waiting for? You can try these remedies in the comforts of your home. We hope that you found this article on how to lighten dark knees and elbows interesting and useful. Do give us your valuable comments and feedback. Can Baking Soda Whiten Your Underarms?